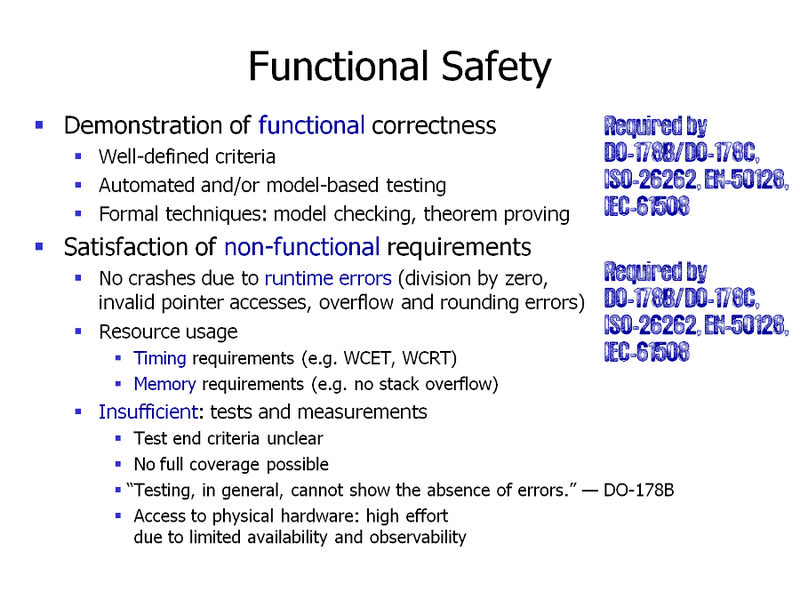 All current safety standards for embedded applications (DO-178B, DO-178C, IEC-61508, ISO-26262, EN-50125, etc.) require identifying potential functional and non-functional hazards and demonstrating that the software does not violate the relevant safety goals. Simply testing by repeatedly measuring is not only tedious, but also typically not safe. It is often impossible to prove that the worst-case conditions have actually been taken into account. As DO-178B succinctly puts it, “testing, in general, cannot show the absence of errors”.